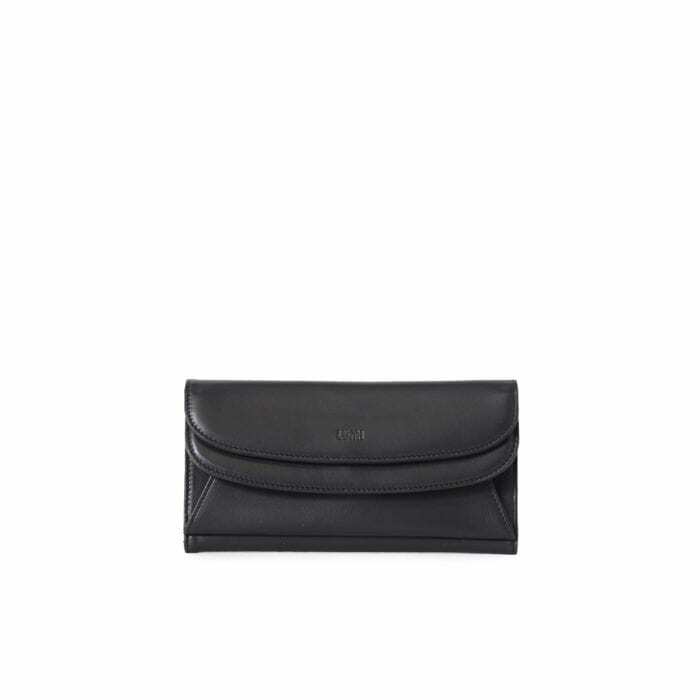 LUMI Sylvi Maxi Trifold Wallet in classic black. This maxi trifold wallet safe-keeps your cards and cash in style. The wallet is handmade from lovely and soft sheep napa leather, which makes it beautiful to hold in your hand. Vivid is a line of small accessories available in dozens of rich, delicious colors and exciting combinations.